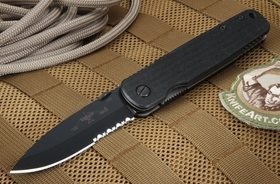 American-made Emerson tactical knives combine straightforward design with precision manufacturing to produce a hard-use tool valued by even the most demanding knife users. 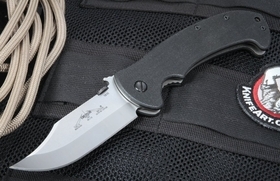 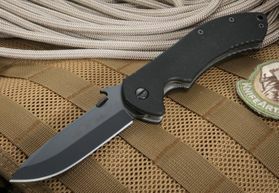 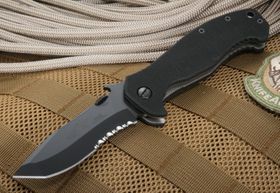 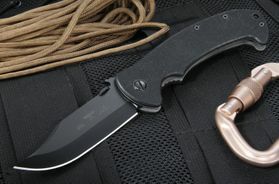 Founder Ernest Emerson originally worked with U.S. Navy SEALs to develop the first purpose-built tactical knives. 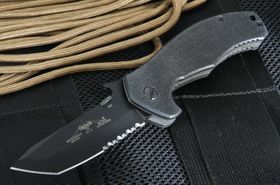 By forming Emerson Knives in 1996, he introduced these designs to tactical personnel and knife enthusiasts around the world. 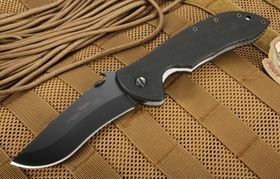 We offer more than a dozen models of affordable Emerson knives for sale at KnifeArt that represent the very best in law enforcement, military and tactical tools. 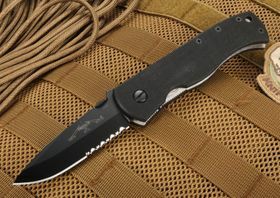 Popular models such as the Commander, CQC-7 and CQC-15 are prized by first responders. 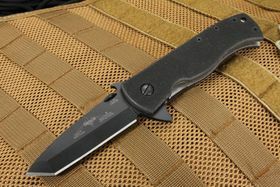 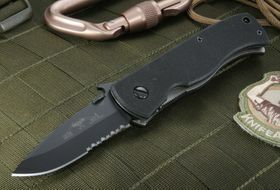 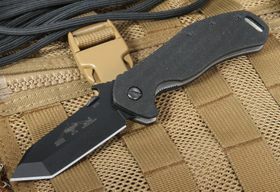 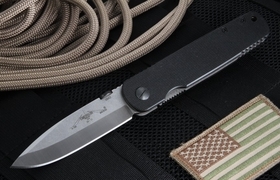 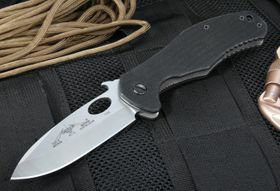 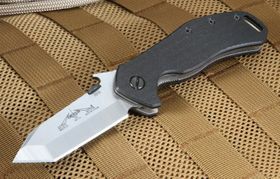 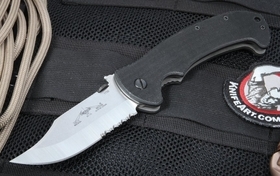 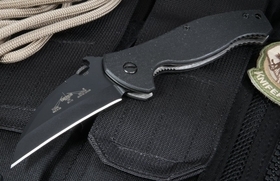 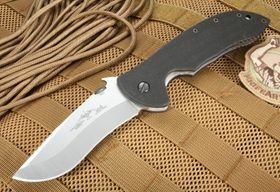 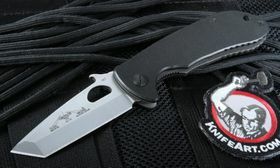 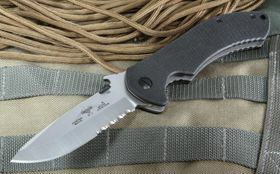 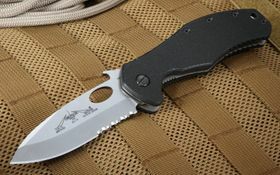 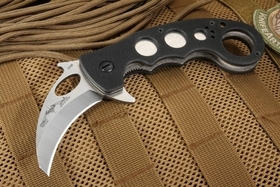 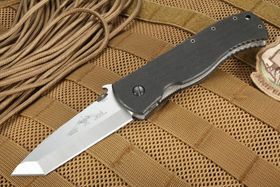 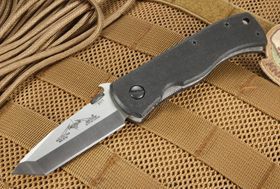 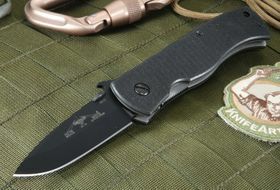 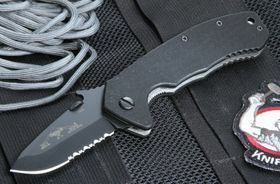 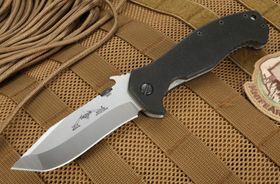 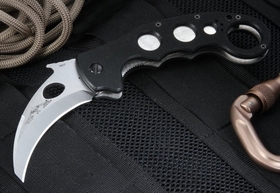 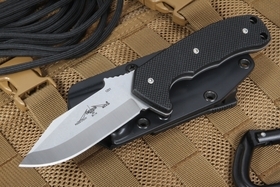 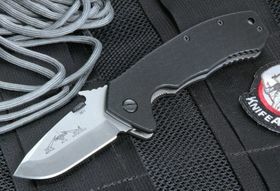 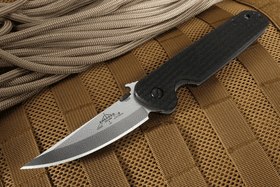 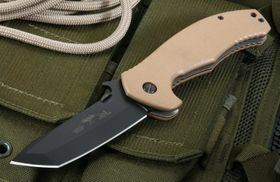 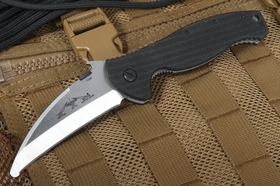 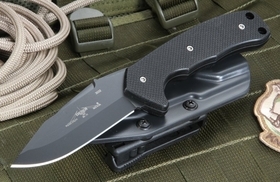 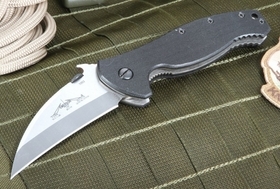 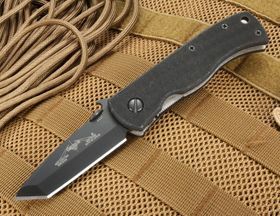 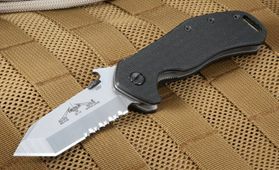 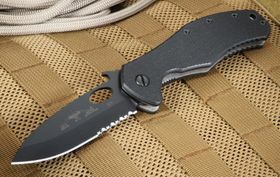 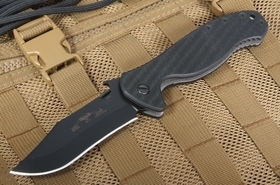 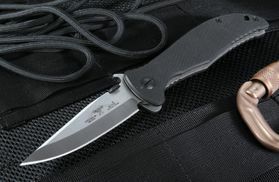 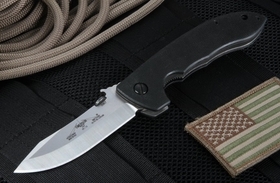 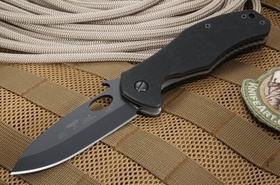 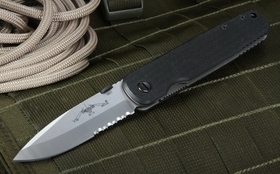 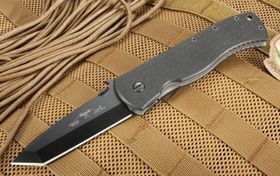 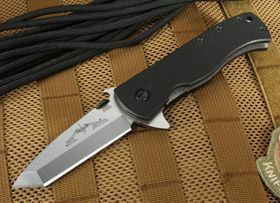 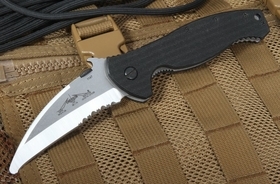 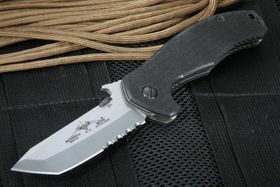 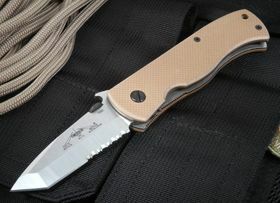 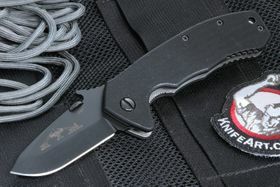 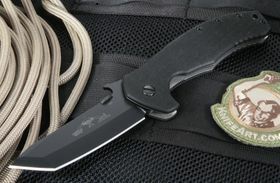 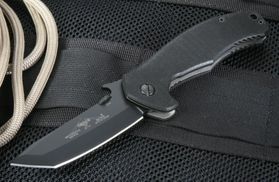 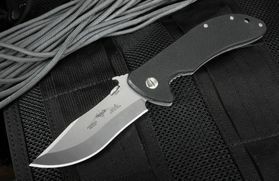 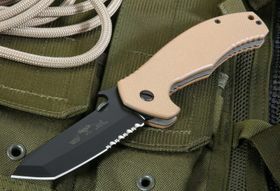 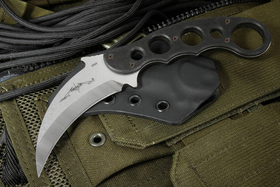 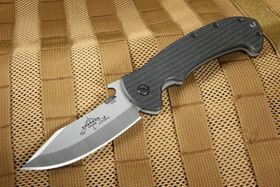 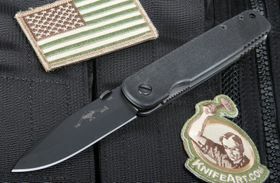 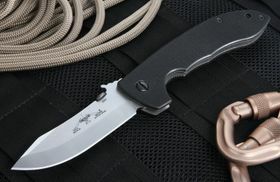 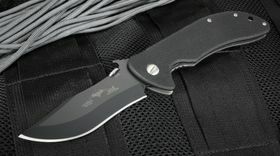 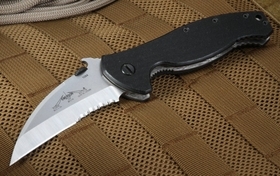 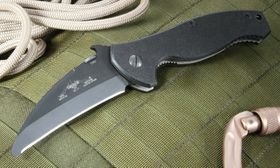 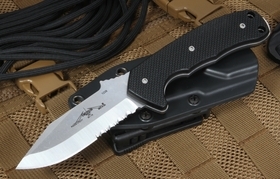 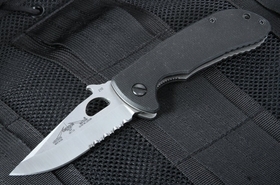 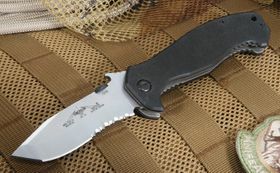 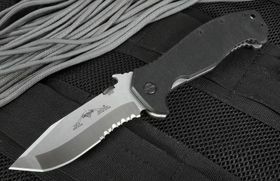 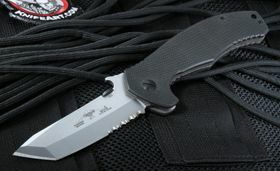 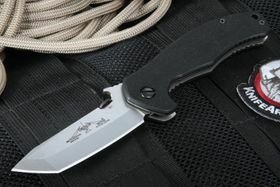 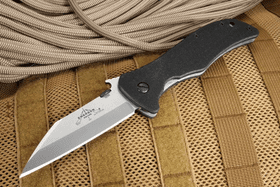 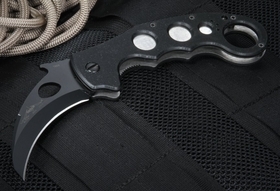 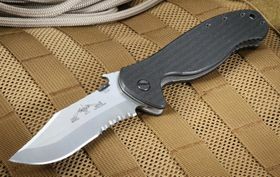 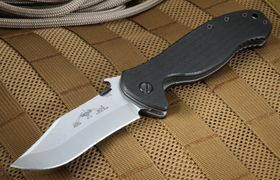 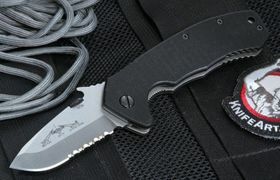 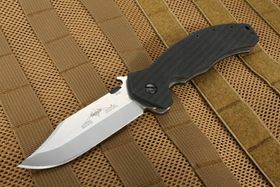 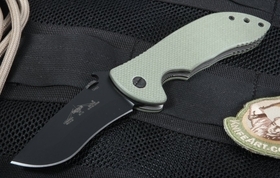 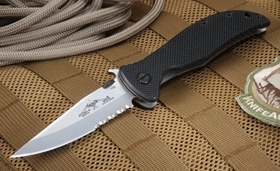 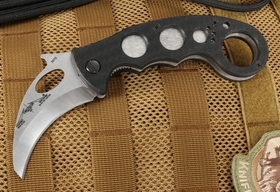 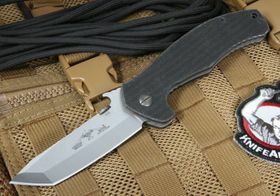 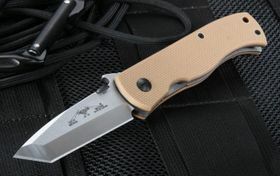 The Mini and Super Commander feature the recurve blade while the CQC-7 tactical folder has a tanto-style blade. 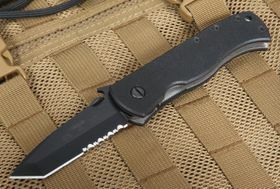 And the Emerson CQC-15 combines these two styles, giving elite military and law enforcement groups the best of both worlds. 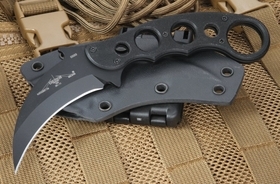 Many other Emerson folding knives have proven themselves in real-world situations, from the Emerson Karambit knife for self-defense to the CQC-8 Horseman for ranchers and farmers. 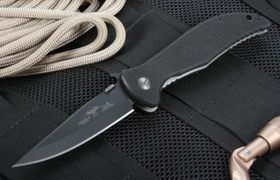 Each one uses Emerson's patented wave open feature for removing the knife from your pocket and opening the blade all in one motion. 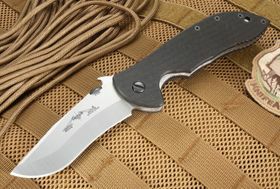 A limited lifetime manufacturer's warranty applies to workmanship and materials and protects against damage from normal everyday use. 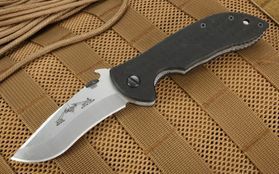 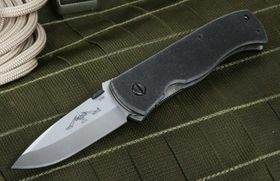 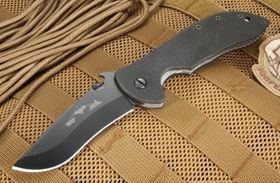 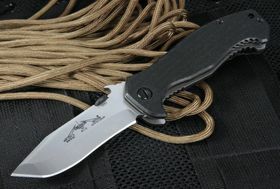 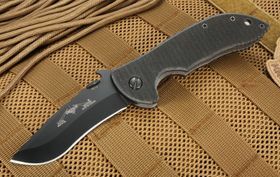 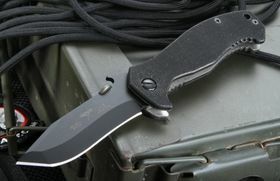 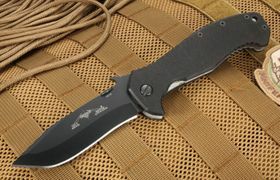 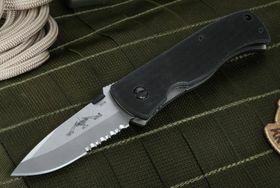 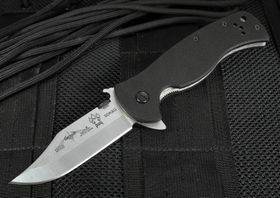 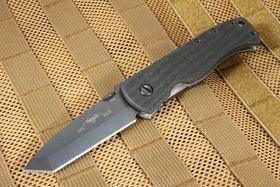 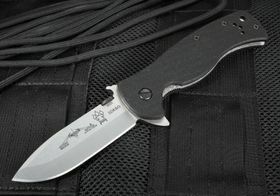 And all orders over $150 ship absolutely free anywhere in the U.S.
Emerson Roadhouse SF Tactical Folding Knife.